How dangerous are schools? While I have always been aware of the public schools’ dismal academic failures, it was only recently that I began to consider them dangerous. I had heard of the notorious school shootings, but I assumed they were extremely rare aberrations. Then I dismissed the ever increasing “school violence” as an “inner city” crisis. But, the theme keeps repeating itself over and over: kid beaten to death – at school, young girl raped – at school, boy commits suicide over harassment – at school. Now there is a national campaign to stop “bullying”. Recently, even the President has gotten involved. So, I started thinking back to my time in school and talking with others about their experiences and do you know what I realized? Everybody is right! School really can be a dangerous place. 100 percent of the “real” violence that I have witnessed in my life occurred at school. Since I graduated high school, I have not witnessed a single fight. In fact, since high school I have not seen any drugs or any violence. Isn’t that interesting? When I was the most vulnerable as a child in school, I was exposed to drugs, sexual abuse, and violence, but as soon as I became an adult those things seemed to disappear. That is scary. Even scarier is the fact that in case after case, the parents claim they had no idea their child was even having issues! This puts parents in a tough situation. We want our children to get an education, but we also want them to come out in one piece. We know that we can’t count on school officials, and teachers are already overwhelmed. Well, I don’t have a perfect solution, but here are a few tips that may help keep your children safe while they get their education. 1. Homeschool: Homeschoolers generally get a better education and they are a lot less likely to be assaulted at home. So, don’t rule this option out. If things start getting out of hand, homeschooling is the best way for you to take charge of the situation. 2. Pick your kids up from school. Most of the drug abuse and violence occur on the way to and from school. Sometimes the bus is the worst place, because kids are trapped and have no way to escape their tormentors. 3. Don’t tolerate bad influences. When it comes to people, you can often judge a book by its cover. If he walks, talks, dresses, and acts like a gangster – he probably is. If he looks like he is doing drugs – he probably is. And if she looks sexually active – she probably is. Even if you are wrong, there is a reason these kids have chosen to present themselves they way they do. 4. Pick your children’s friends. Be proactive and help pick your children’s friends. You can do this by getting them involved in your church, or other safe and positive environments. Not that bad things can’t happen there, but hopefully you are placing them in environments where kids of similar values congregate. Also, make sure you “know” your children’s friends. Meeting them once is not enough. You should have a relationship with their parents and have a pretty good idea of what kind of people that they are. 5. Family Time: Family time is a great way to stimulate positive relationships. If you have a good relationship with your children, you will likely know when your children are facing social problems at school before the issues get out of hand. Kids see there “friends” all day at school, so family-time should take precedence in the little time children have away from school. 6. Self Defense: Teach your children how to protect themselves. I realize that in many situations the victims are targeted by several other bullies, but hey, learning a little self-defense can only help. Who wants to mess with a wrestler, boxer, or mixed martial artist? 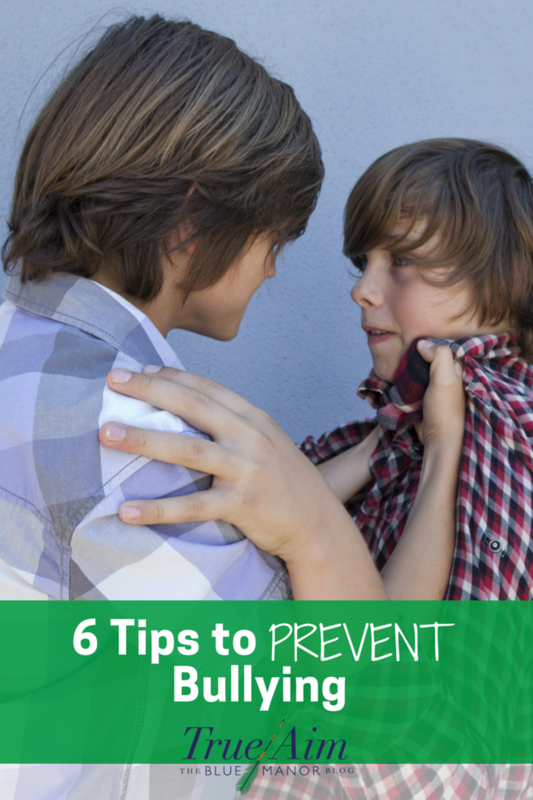 School violence isn’t likely to disappear any time soon, but hopeful these tips will help keep your children safe at school. If you have any of your own suggestions, please leave a comment. Read more about how schools foster an environment that encourages bullying. 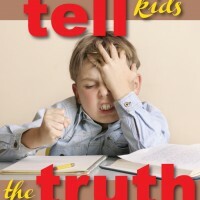 Is It Time to Start Telling Kids the Truth about School? « To Germ or Not to Germ? Hi Candy, thanks for your input. I agree, it is better to be safe than sorry. Valuable post. Glad you wrote and posted this. I used to work in public ed, and you’re right. I just wanted to add that victims who defend themselves often wind up in trouble for doing so. It happened when I was a kid, and it happens today. So if you teach your child to defend themselves when assaulted, please, please be ready to put up a fight of your own if and when the school authorities come after your child for it. That’s good to know! Sad, but thanks for giving parents the heads up. I have very mixed feelings about this article…and so much to say about it that I’ll have to post more than one comment! Yes, schools CAN be dangerous places. 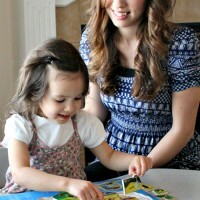 Homeschooling homes can harm children too. A school is less within your personal control than your own home, but when you stand up for good schools you help not only your own children but also the children whose parents don’t care to protect them. Children actually are less likely to experience violence in school than other places. My son has been through two years of public school so far, preceded by three years of preschool in a chain childcare center. In that time I have learned much about working with the system to advocate better policies, and about working within the rules to protect my own child. I’ve also learned that many of the things my parents were unable to change when I was in school–most notably, bullying and the use of dangerous chemicals–are taken much more seriously in this time and place. My son’s school does NOT believe that bullying is a normal part of children’s interaction, and they work against it on many levels. If you have not seen drugs or violence since school, you have led a sheltered and lucky life. You cannot guarantee that, if you homeschool your children, they will never encounter drugs or violence in their adult lives. I wish there were no violence in the world, but there is, and I am grateful that I got used to the idea while I was still living with my parents and could talk with them about what I saw (or, a few times, experienced) and what to do about it. My parents’ knowledge of drugs was hardly up-to-date, so I am grateful that my school had comprehensive drug education so that when I did see people using drugs (which didn’t happen until college) I knew what drug that was, what to expect from those people’s behavior, and what were the risks of using that drug myself–much more helpful than a vague fear of Drugs and Drug Users. You have a good point about more trouble occurring on the way to/from school than in the school itself, and about the school bus being a likely place for bullying. That certainly was my experience. My district didn’t have bus aides, and the driver would notice misbehavior only if it was very extreme; kids could say horrible things to me and pull my hair without attracting attention. In grades 7-10 I walked home a mile and a half every day rather than face the school bus torment. Mornings were better, perhaps because the bus brought us to school at 7:20am so nobody was awake yet! But then we were supposed to wait in the courtyard unsupervised for 30 minutes until the bell rang. That was a horrible time! 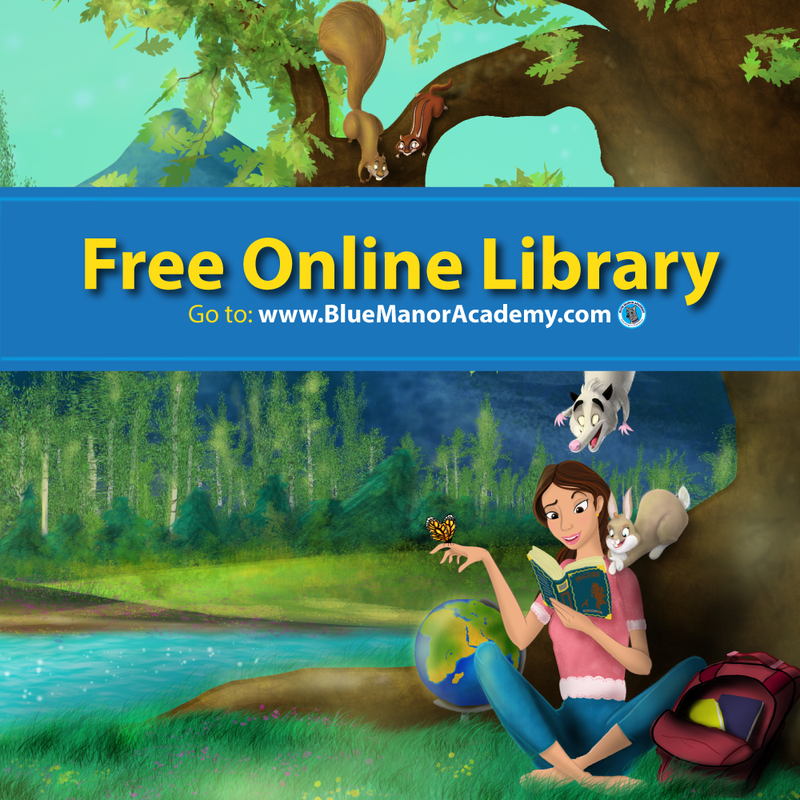 I was so grateful when my dad spoke with the principal about my being bullied and found out I could spend that time in the library as long as I behaved myself–the bullies didn’t want to go to the library, so it was a safe, pleasant place. Parents can help kids find safer options like that. In place of your #3, I would advise getting to KNOW your child’s friends, rather than judging them based on appearance. Two of my best friends in high school were honor students, normally dressed, minimally made-up, and total sluts. I’m grateful that my parents made these girls welcome in our home, talked with them and learned about their good points so they understood why I wanted them as friends, and kept communication open with me so that when I felt disturbed by my friends’ morality I could talk with my parents about it. My parents also were supportive of my in-school friendship with an extremely tough, scary-looking guy who had been abused and neglected all his life and really needed a friend; they encouraged me to understand the person inside instead of being afraid of his appearance. Self-defense is a good idea, but it’s not just a physical thing. Most of the bullying I experienced was relational: name-calling, rumor-spreading, “Do it, and I’ll be your best friend,” telling teachers I’d done things I hadn’t. Responding to non-physical bullying with physical violence will get kids into trouble, as it should. Kids need to learn verbal self-defense and how to ask for help. About physical bullying, I have told my son to listen to Jesus: turn the other cheek, don’t hit back, because when you hurt someone back you are bringing yourself down to their level. If someone attacks him physically, his goal should be to get away and get help. I know this idea is controversial, but that is what I believe. I work in crime research, so I look at data on violence every day, and I’m convinced that responding to violence with violence makes things worse. So when I talk about physical self-defense, I’m thinking of martial arts like Aikido that focus on NOT hurting. Overall, while I agree that children can encounter risks at school, I believe school is a valuable experience and an excellent way for children to learn how to get along in the outside world, with the support and involvement of their parents. Becca, thank you so much for your input. It is always good to hear the other side. 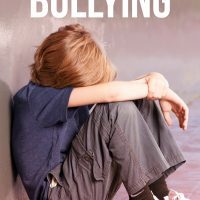 However, I do think were are talking about two completely different forms of “bullying.” I agree that children do not need to be shielded from every form of conflict, but there are situations that must not tolerated. For example, in some of the inner cities kids are being raped, assaulted, robbed, and brutally verbally assaulted. These are things that no human being should ever have to endure, especially not a young child. There are definitely times to “turn the other cheek,” but not if a child is fighting for his life or being raped. Yes, the proper authorities should be notified, but sometimes the victim can’t escape, so self-defense is important. As far as homeschooling goes, ever parent will have to decide for themselves at what point their child’s school has become too dangerous. I assume most schools are probably fine, but I would never send my children to some of these inner city schools. Any way, I really think we probably agree on most things. I was really just trying to address the severe cases, but you are right in other less serious situations it is good to let children learn to deal with the conflict. Thanks again for taking the time to leave a great response. Oh, absolutely, serious assaults should not be tolerated. But I think there are very few schools in America where the faculty do tolerate serious assault and allow it to happen with any frequency. In a typical inner-city school (such as several my relatives have attended or taught in), fights may occur frequently, but they are broken up as quickly as possible; metal detectors are used to prevent weapons from entering the building; and when an assault is perpetrated in a way that goes undetected (like in a stairwell when nobody else is around) and then it is reported, there are steps taken to prevent it from happening again like better supervision of that area, expelling the perpetrators, and firing anybody who wasn’t doing their job. Assaults are not just part of the school’s daily routine that the students are expected to endure! The fact that there are a few schools with serious violence problems does not justify blanket statements that public schools in general or inner-city schools are dangerous. Starting a list of “how to keep your children safe” with “1. Homeschool” is a lot more extreme than putting “consider homeschooling” farther down the list. It bothers me that so many of the most involved, concerned, intelligent parents these days are homeschooling their own children and abandoning the public schools. To me, supporting good schools for all children is an important role of a citizen and a Christian. It is particularly disturbing to see parents reject public education and advise others to do so when they have not even tried it for their own children–it’s not just you I am reacting to; I have seen this as a pattern both online and with people in my neighborhood who never visited or researched our fabulous public school before deciding to do private school or homeschool. But maybe I over-reacted to your tone. Your article could be read as, “what you can do to address fears that your child will be harmed, triggered by reading about school violence,” and you do have some good advice. The national campaign against bullying is in fact much more focused on the common types of bullying I was talking about–verbal harassment, pushing, hair-pulling, pressure to break rules, sexual harassment–than on the rare incidents of serious violence for which “bullying” is really too mild a term. Common bullying should not be so common as it was in too many schools for too many years, and I am thrilled to see action being taken. As Candy said, “it is just a different world than the one we grew up in”–it is a world in which principals no longer feel free to tell parents, “Well, your daughter might get treated better if she would dress like everyone else and not act so smart,” and I think that’s a good thing!! Have you read Dan Pearce’s Memoirs of a Bullied Kid? Between anti-bullying efforts and the earlier crackdown on sexual harassment, I really think our schools are getting safer. Thanks again for responding. Yes, I realize that most schools have a zero tolerance policy toward any form of bullying. I guess what concerns me is that they are having such tough time enforcing it. I have a few friends and family that are teachers and they have said the same thing. 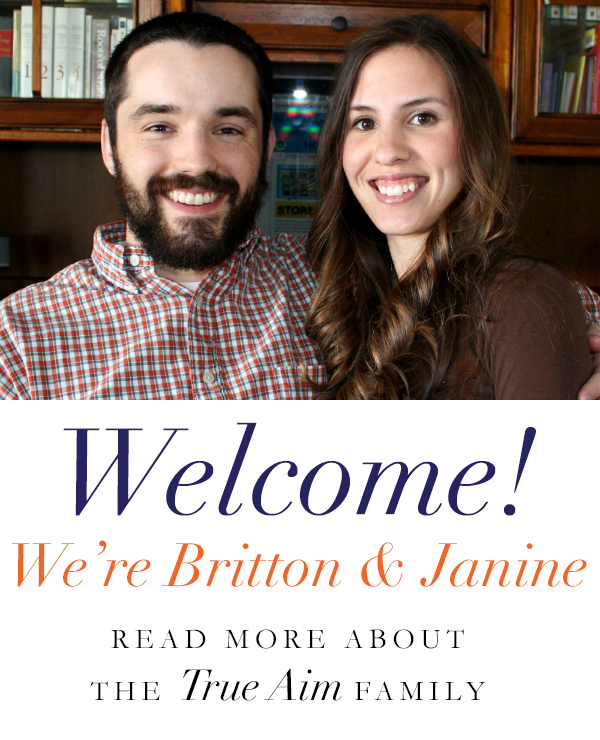 In fact, one of the strongest advocates I know for homeschooling is currently a teacher. She said that school policy makes it almost impossible to control her own class! And I think that is the problem. The reason that I am such a strong advocate of homeschooling is that is the only way a parent can be sure that the bullying will stop. I am not saying that every parent must homeschool, but if parent’s sons or daughters are facing a real threat of bodily harm, they should definitely consider removing their children. If the threat cannot be eliminated then it is best to remove the child. However, there is definitely not a clear or perfect solution. I agree that there are times to let our children deal with their own problems, there are times to work toward reform in the schools, but there are also times to remove children before the situation gets any more out of control. I mean, in some of these inner city schools kids are being murdered – at or on school grounds! So, I am really not talking about name calling or pulling hair. This post was directed at parents whose children are facing serious threats. Thanks again for responding, I think you made some very good points. Great post! Very nice blog. Found you on the inspire me monday hop, an unexpected find. Nice to see you here with this great information. These phenomenon are the exact reasons why more number of families are preferring homeschool over public schools not only because there’s a vast difference of academic competency, but also because of chances to reduce risks of children to ever suffer dire circumstances such as being bullied or worse, raped or even killed. In light of the recent shooting, I say you were right on target with this post. That school seemed like a very safe school, hardly any crime in that town… yet those parents could have avoided tragedy if they chose to homeschool. Better to be safe than sorry!